hd00:27SLOW MOTION: Woman taking selfies at the beach. 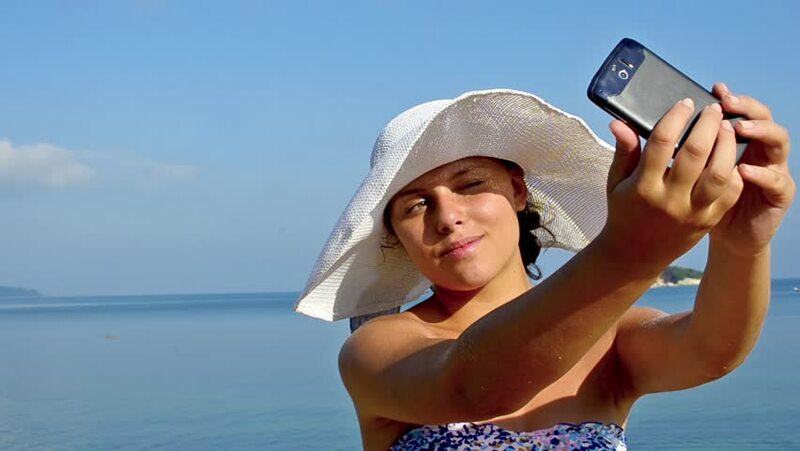 Young brunette female standing at the beach close to the sea on a sunny summer day afternoon, using her mobile phone to take self portrait photos. hd00:13Happy girl listening to music on headphones and using smartphone on the beach. 4k00:30Cruise ship vacation woman taking photo with smart phone camera enjoying travel at sea. Girl using smartphone to take picture of ocean. Woman in dress on luxury cruise liner boat.